In an attempt to feel more Christmassy and experience some cool weather, I took the family off to Cameron Highlands for a few days just before Xmas. From Kuala Lumpur it is about a 4 hour drive. At the request of my daughter, who is prone to car sickness, we took the more distant but faster Simpang Pulai route rather than the windy old Tapah road. Although the newer highway has less hairpin bends it still has some deceivingly dangerous curves and a bus crashed on the same road the day before our journey and 27 Thai tourists tragically lost their lives. 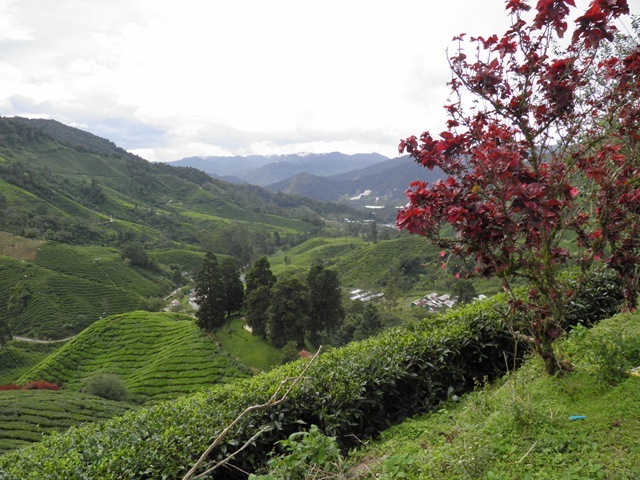 The Cameron Highlands comprises 3 small towns – Tanah Rata, Brinchang and Ringlet – and the surrounding countryside. It lies around 1,500 – 1,800m above sea level and enjoys a relatively cool climate with a temperature range of between 10 – 25°C. We were able to wear some light winter clothing for a change. On approaching the highlands you could be forgiven for thinking that they have covered the entire place with poly-tunnels. 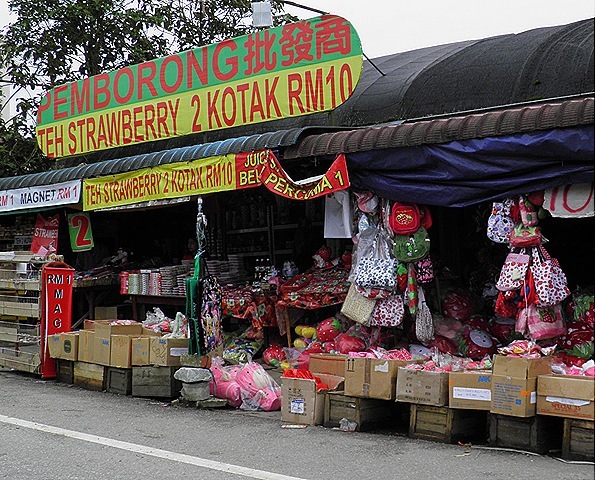 Horticulture is big business here and the area supplies much of Malaysia’s vegetables. The farmers drive around in ancient Land Rovers (perhaps army surplus?) which seem to be the most common vehicle here. Strawberries are grown in abundance. The speckled red fruit has become the unofficial mascot of the area and its image appears on every imaginable kind of tourist tat sold by the stalls lining the streets. We stayed in the Century Pines Resort which was offering good value for money. Lots of other people thought so too and the hotel was fully booked. This meant that the breakfast buffet was one of the most crowded I have ever seen. Hordes of ravenous guests descended like a plague of locusts on the buffet table, picking it clean of anything edible. Even the cups and plates disappeared! 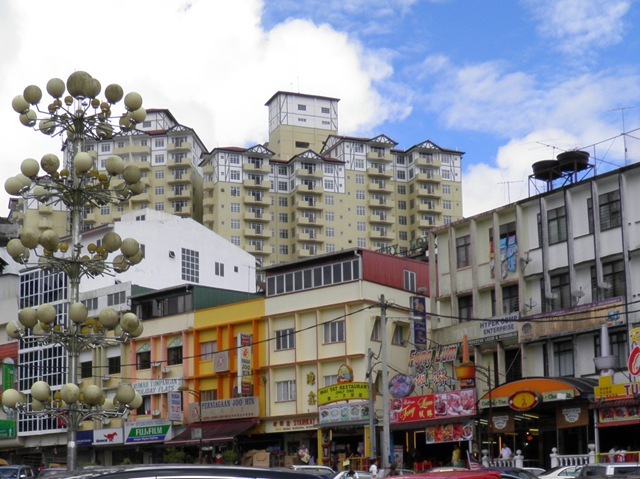 The hotel was conveniently located off Tanah Rata’s main street which provided a choice or eating and shopping establishments. We ate dinner at Kumar’s curry house and it was pretty good. 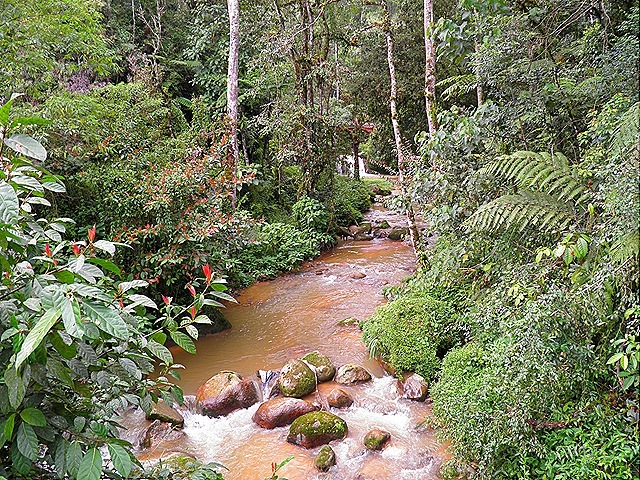 Next to the hotel was the start of one of the easier of Cameron Highlands’ many hiking trails. 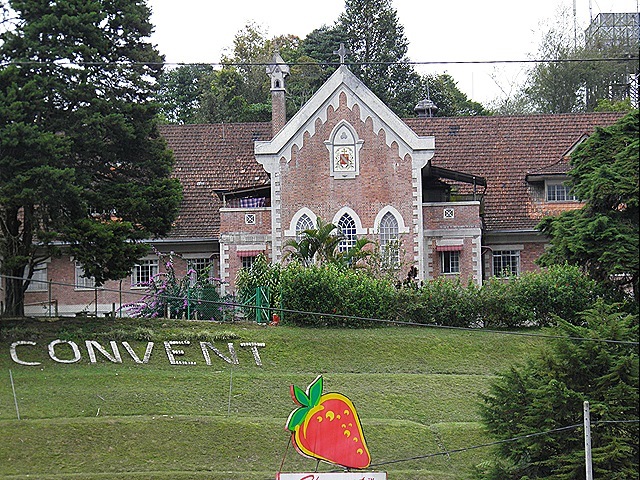 The Cameron Highlands were originally developed during the colonial era as a hill station where British officials and rubber planters could escape from the sweltering heat below. A few old buildings remain but there has been a lot of development in recent years, not always tasteful, so if you are looking for a quaint corner of England you might be disappointed. However there is still plenty to attract tourists, both local and foreign, who come in their droves. Among the attractions are bee farms, rose, cactus and orchid gardens, temples, an aboriginal village, a golf course, waterfalls and pick-your-own strawberries (or self-plucking as is it is known locally). 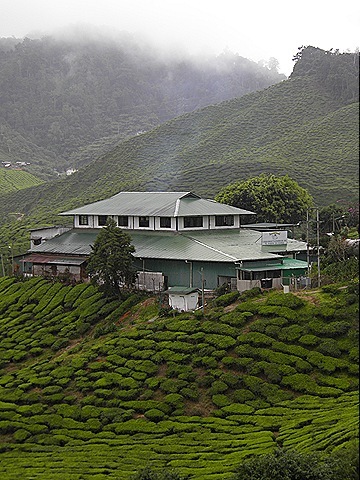 I particularly liked the tea estates and we visited two of them, Boh and Cameron Bharat, and sampled their brews. It was like a wine tasting tour, only with tea. And fine cuppas they were too – strong, full flavoured and fresh. 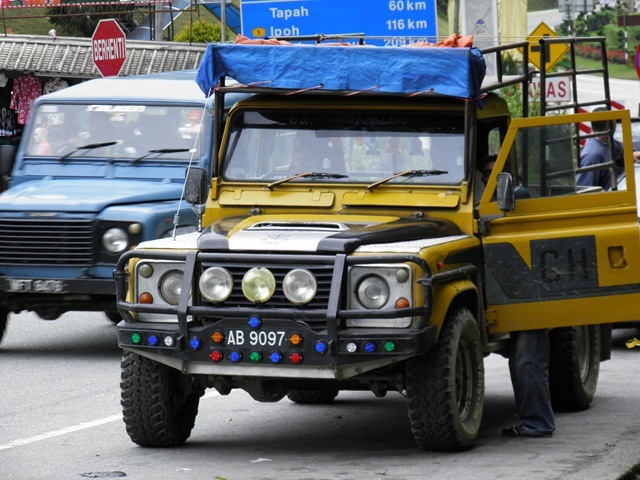 The highest point in the vicinity is Mount Brinchang, 6666 ft. (2031m) and you can drive all the way to the top (possibly the highest road in peninsula Malaysia). Alternatively you can hike up from Brinchang town. 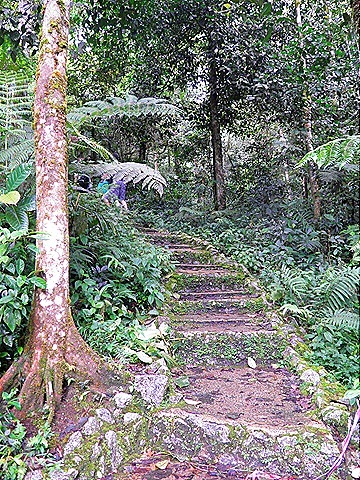 There is a boardwalk and tower at the summit which offers a splendid view of unspoilt Malaysian jungle stretching as far as the eye can see.